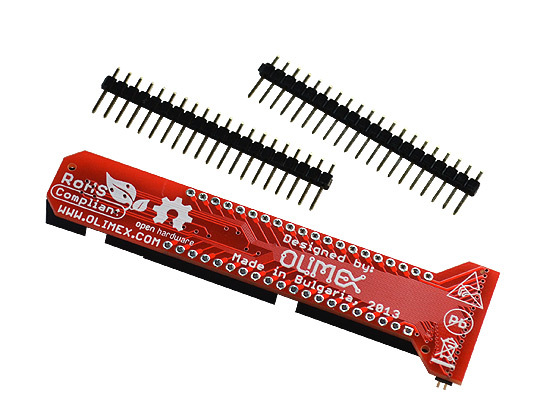 A10-OLinuXino-LIME-UEXT is a small board that adapts the 0.05" LIME pins of the GPIO/LCD connectors to breadboard-friendly 0.1" step connectors. Note that the adapter is suitable for A10 and A20 LIME design! It is not compatible with LIME2 design - LIME2 boards have a different LCD connector layout! There are no cables included. 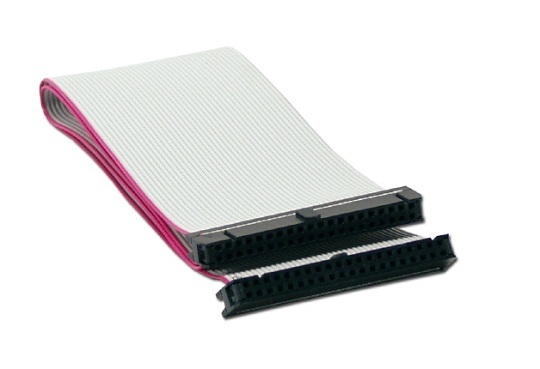 The board is compatible with CABLE-40-40-10CM and CABLE-IDC40-15CM. The newest generation of Olimex LCD displays doesn't need such an adapter! Only a cable with compatible to the board step 0.1" or 0.05". 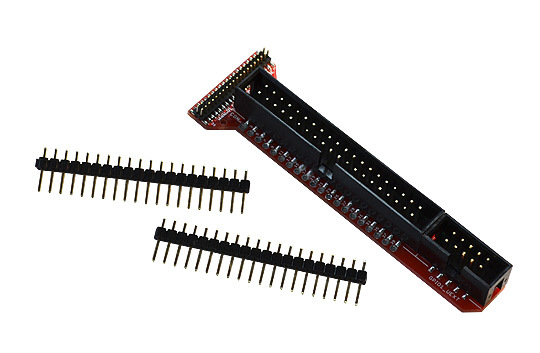 They have three connectors at the back suitable for all OLinuXino and SOM boards. 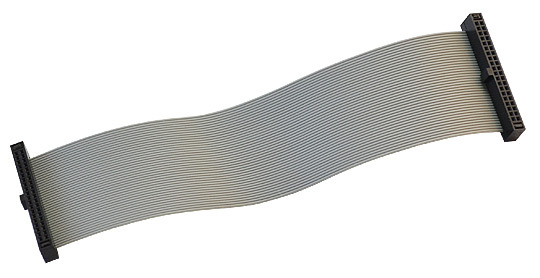 If you own one of the older LCD displays, manufactured by Olimex, you would probably need CABLE-40-40-10 0.05" step IDC cable to be able to connect A10-OLinuXino-LIME-UEXT to A10-OLinuXino-LIME or A20-OLinuXino-LIME. Of course, you can make your own cable according to the schematics or you can use proper jumper cables. 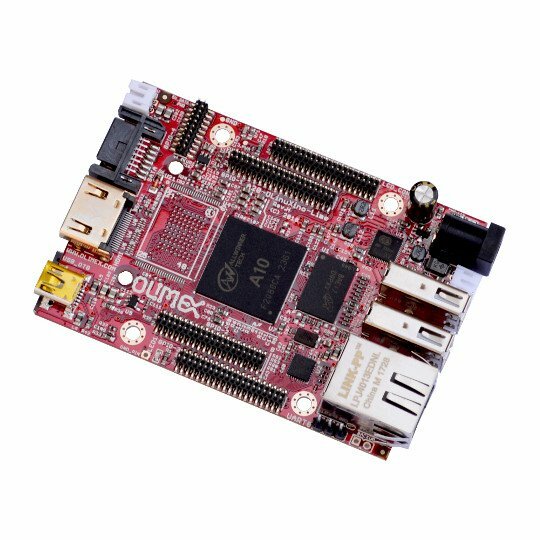 It's proven to work with A13-LCD43TS, A13-LCD7-TS, A13-LCD10TS and A20-LCD15.6 LVDS. IMPORTANT: the cable and the 0.05 connectors are very fragile - if you attempt to disconnect the setup by pulling the cable it might break! Furthermore - you might bend the pins! Use pliers or other suitable object to disconnect the connectors carefully! 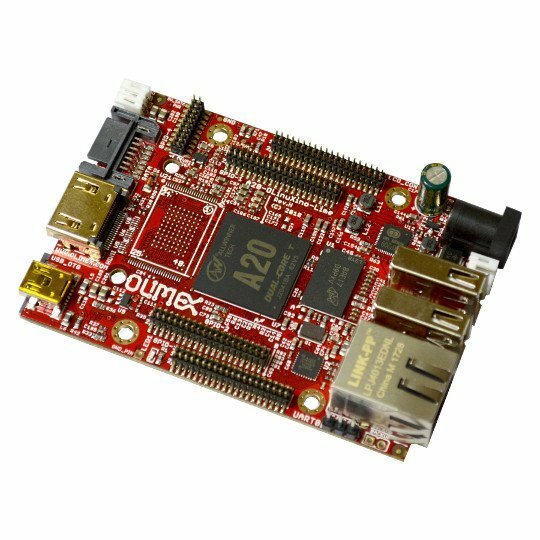 If the A10-OLinuXino-LIME-UEXT gets attached to GPIO1 connector it will also provide UEXT functionality. If it is attached to the other compatible connectors it would behave as a simple adapter.